Last Minute Special $79 for travel tomorrow only! Discount applied at checkout. Hand-feed colourful Crimson Rosellas and King Parrots. 35km away from the centre of Melbourne lies the peaceful Dandenong Ranges. Soak up the fresh mountain air and discover quaint mountainside villages on this tour that takes you back in time. 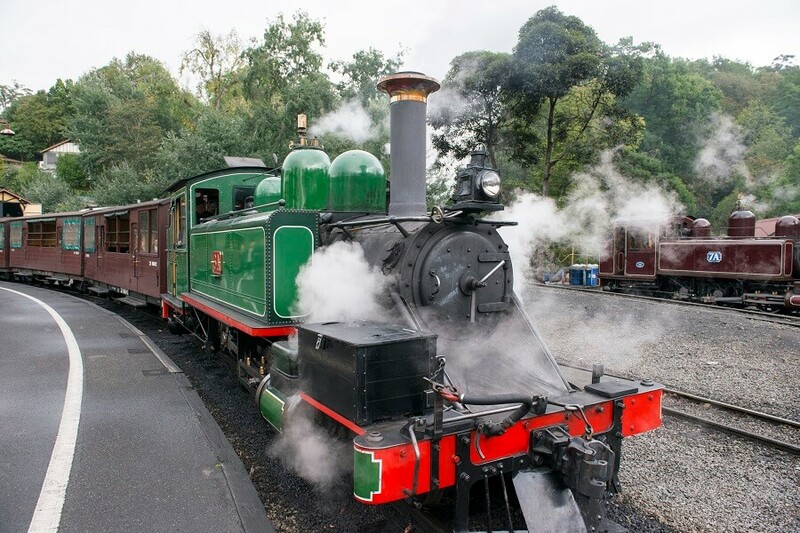 After a drive through the charming Dandenong Ranges, you will arrive at Australias oldest steam train, Puffing Billy. 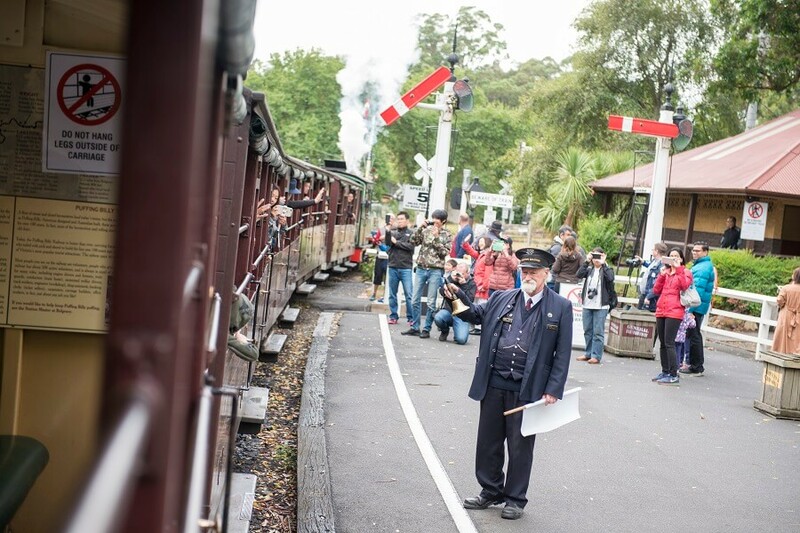 Hop aboard the Puffing Billy and chug your way through incredible scenery, passing centuries-old towns and lookout points with breath-taking views as you go. Keep your eyes peeled for native wildlife along the way! On the way, you can tuck into a traditional Aussie morning tea of Bush Billy tea with lamingtons and vegemite and crackers against a backdrop of soaring mountain peaks, keeping your eyes peeled for the colourful collection of birds that flit between the trees. You’ll then venture through the lush rainforest from Belgrave to Menzies Creek, passing ancient plant life and native animal species. We’ll pass quaint mountain villages that hark back to yesteryear before making a pitstop at Sassafras, one of the most popular villages in the Dandenongs. Here, you can wander the length of the main street, ducking into antique stores and old-world tea rooms as you go. As the tour concludes back in Federation Square, you will have everlasting memories of the picturesque Dandenong Ranges and Puffing Billy.